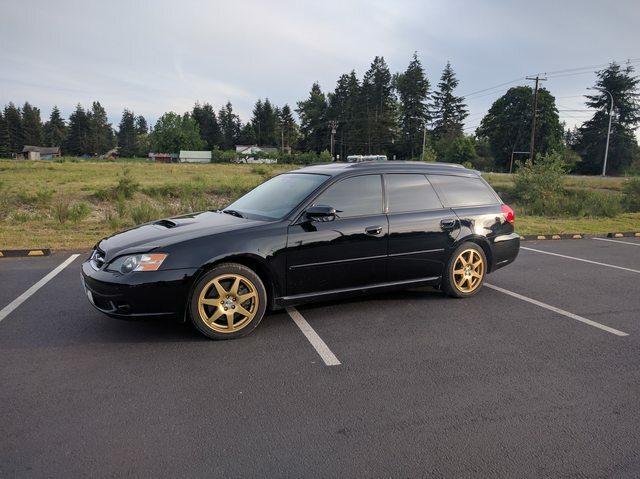 Hey, you all are my favorite Subaru forum peeps even though I don't have a firstgen anymore, so I figured I'd show you my current project: my wife's 2002 Outback Limited 5-speed. After 212k faithful miles, the original 5mt bit the dust. 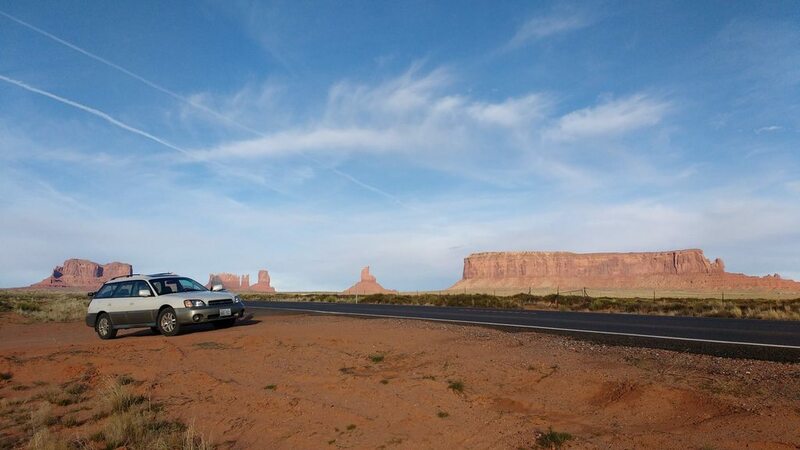 Luckily it happened after we got back from our 3,500+ mile roadtrip from WA to AZ and back!! 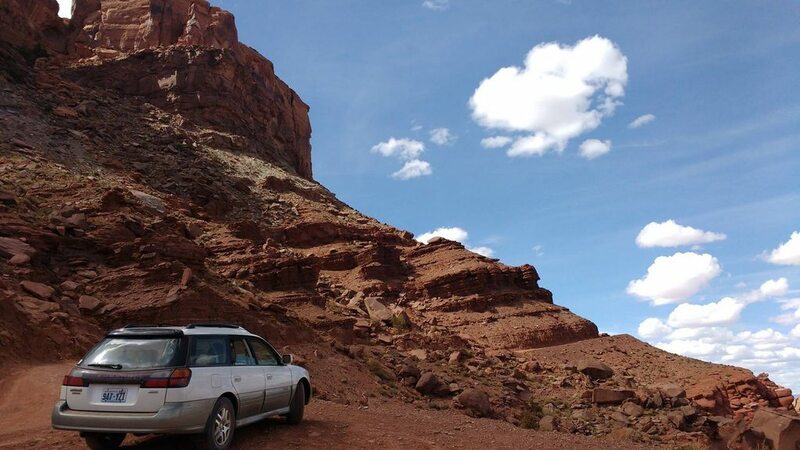 We ended up doing some light offroading in Moab and Sedona, and it was plenty of fun for the family. 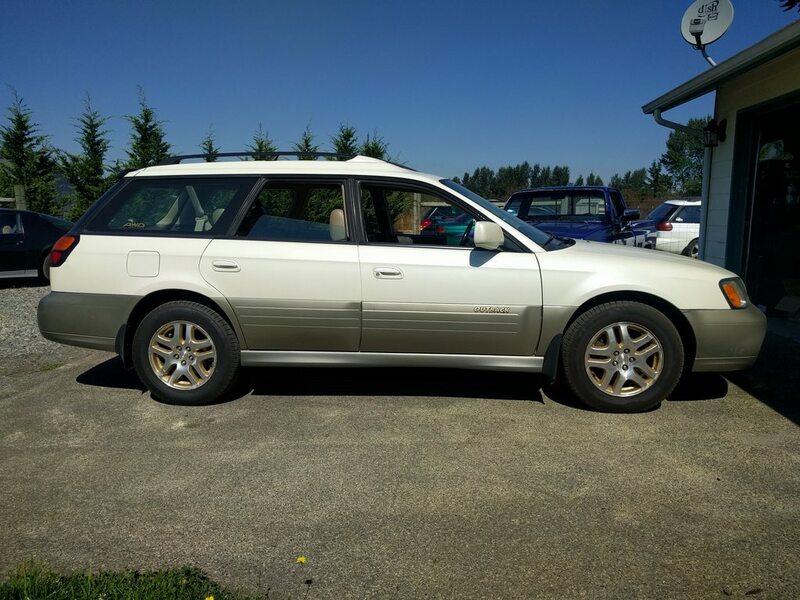 So when the transmission broke, I happened across a JDM '03 Forester dual range transmission and decided to pick it up. In Moab we were lacking in crawl ratio and I ended up slipping the clutch quite a bit to crawl over rocks here and there. The dual range should help a lot with that problem! 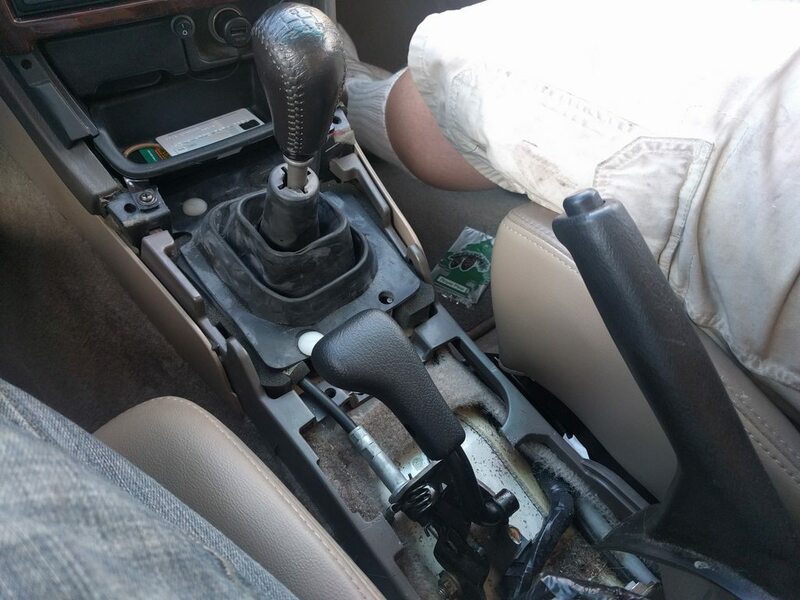 Right now I'm working on acquiring the OEM EU LHD shifter and console pieces to make this a factory install. I'm also going to throw on a 2" lift while it's all apart just for fun. 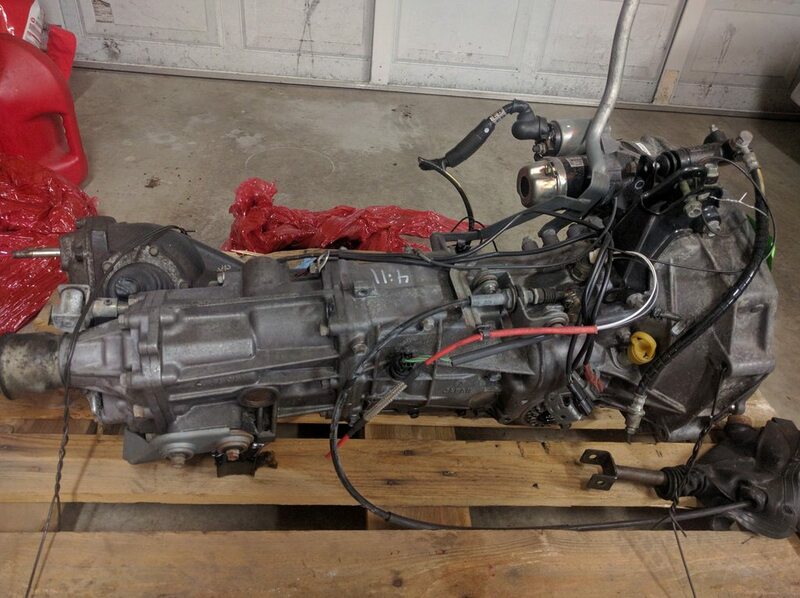 The dual range trans is in, it drives nice. I managed to find the dual range shifter on eBay UK and order it, so that should be here next week. 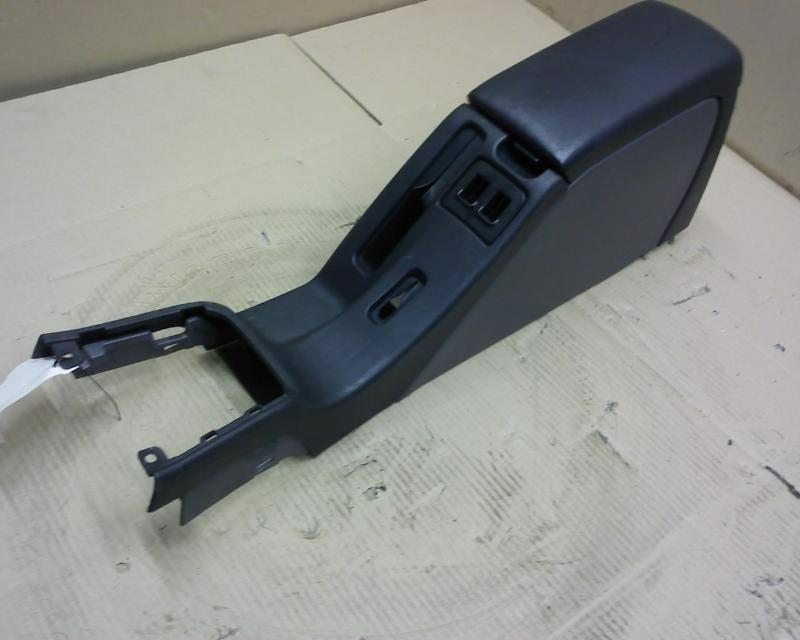 I'm still searching for the dual range center console trim, but I may have to modify a USDM one if I can't find what I need. 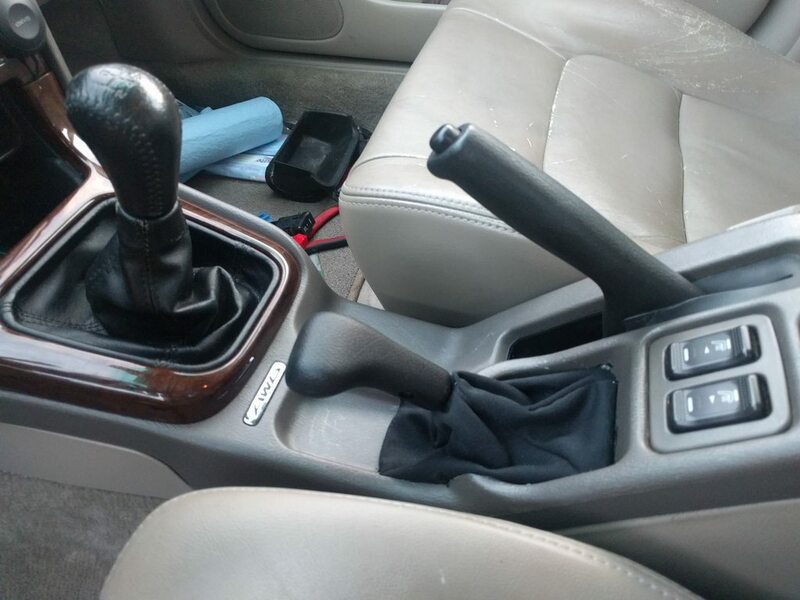 Dual range shifter arrived from the UK so I installed it. 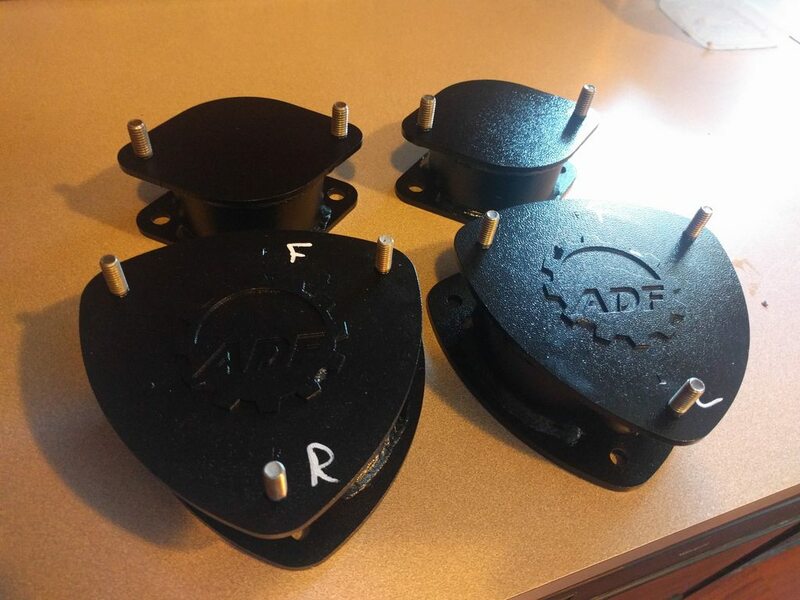 Now I just need to either find a center console to ship over here (no luck yet) or modify a USDM center console. 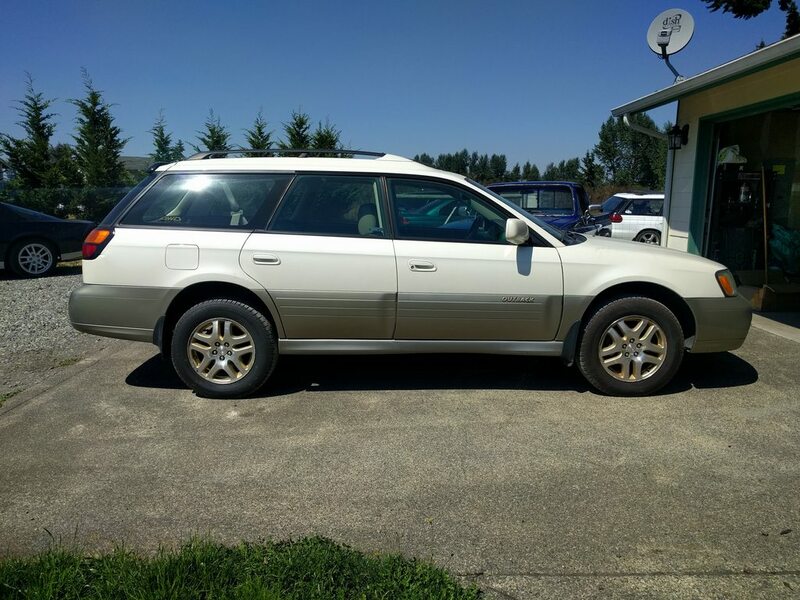 I'm going to pick one up at a junkyard soon if I can find a wrecked tan interior 00-01 Outback. 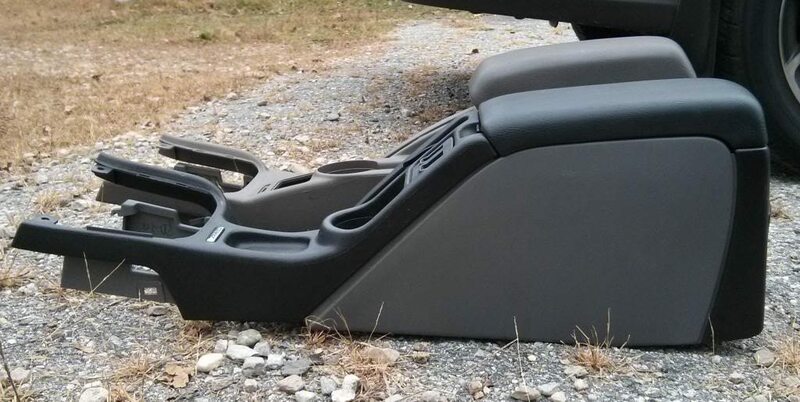 02-04 (like my car) have a different center console design that is much more difficult to modify for shifter clearance. Here's the difference between early and late center consoles. Early had a single cupholder and lower profile; the second cupholder was in the dash trim next to the stereo. Late had two cupholders and is significantly taller. The early one matches the factory dual range plate best, and moves the heated seat switches up near the center console latch. Drop me your email by pm mate and I'll put a shout out on the UK legacy forum and put anyone who has one in touch. If international shipping is a problem you'd be welcome to get it sent to my work and I could arrange shipping to the states if you're happy to cover the cost, we have accounts set up with most UK couriers due to the nature of our work. PM'ed, thanks for the offer. Well, I finally gave up and made a hacked up USDM console work. Might redo the black cloth in leather eventually. Lift came today! I'm excited to slap these well-made chunks of metal in. Those lift spacers look nice! This is awesome! Our wife's cars near identical. Yours is much cooler, though.